Our 55 gallon open head carbon steel drum is dual rated with an X rating for solids and a Y rating for liquids. 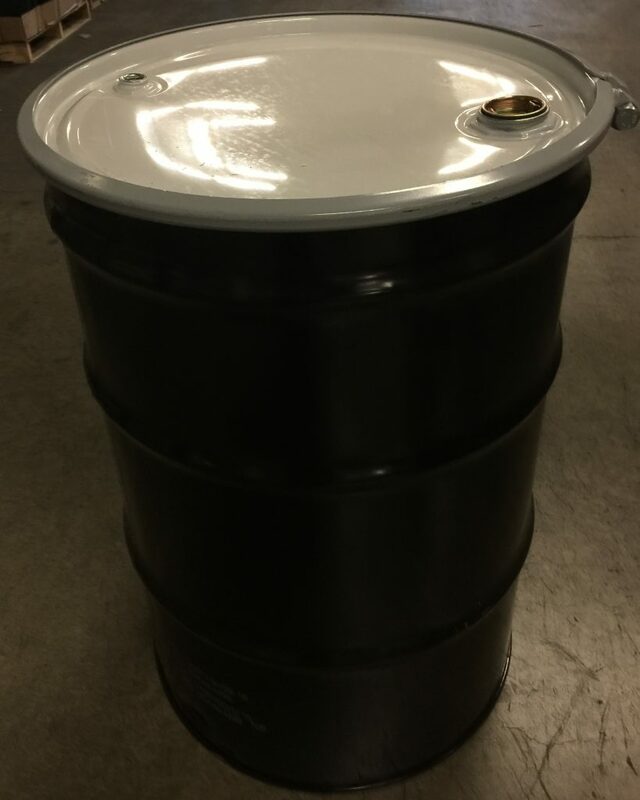 This drum has a black body with a white cover. The removable cover, which has one 2″ and one 3/4″ Trisure plug, also has an EPDM gasket, and it is held in place with a bolt ring. This is an open head drum and it is unlined. It has a Packing Group I rating for solids – UN1A2/X422/S and a Packing Group II rating for liquids – UN1A2/Y1.5/100. Although the UN ratings are for hazardous products, this drum is also suitable for non hazardous products. The drum has an outside height of 34 3/4″ and an outside diameter of 24″. As always, compatibility of the product with the container is the responsibility of the shipper.